The trailer blew my mind away as for many viewers but the end result was a lot of mixed reactions. The movie has been adapted from "Hellblazer," a comic book that has been around in various forms since 1985. Keanu Reeves is caught between heaven and hell as John Constantine, a film noir-style demon fighter/exorcist/sleuth who has been to hell and back before the movie even begins. You see, he tried to commit suicide and failed. Now he's doing it a bit slowly and legally by puffing cigarettes one after the other. In an early scene, a doctor looks at an X-ray of the hero's ruined lungs and gives him six months to live. Actually, this is good news to Constantine. Dressed in back-to-Bogart basics -- black suit, white shirt, loosened tie -- Constantine is called to a dingy apartment to exorcise something trying to escape from the body of a young Mexican girl. A little later he deals with a hells pawn made of millions of beetles. Then there are the bats that aren't really bats as well as dragons and stuff. Also there are Half-breeds who can walk among us. These are humans with red glowing eyes and good grooming who hang out at nightclubs. Metrosexuals, in other words. You get the picture. The busy plot involves the Spear of Destiny -- the weapon used by the Romans to kill Christ on the cross. The legions of Satan are trying to gain entrance to our world through one of two psychic twin sisters, both played grimly by Rachel Weisz. One sister barely makes it past the opening credits; the other is a police detective called Angela who becomes Constantine's constant companion and something like a romantic interest. But, really, when the gates of hell are opening, it's not the best time for a date. Soon, he and Angela are joined in a full-scale afterlife war against the forces of evil. Other characters include Pruitt Taylor Vince as a priest who attempts to drink an entire liquor store and Beelzebub himself (Peter Stormare) as a decaying Las Vegas emcee who has a personal knowledge of every sin on earth. It would have been much better if the director had got some more humor out of Reeves' part. Reeves' character is like a video-game hero in terminal depression. One of the few sequences that really click involve a few comic moments with Constantine's pushy young hero-wannabe assistant Chaz (Shia LeBeouf). Reeves is made up to look like Death warmed over and he bites off a few choice one-liners. 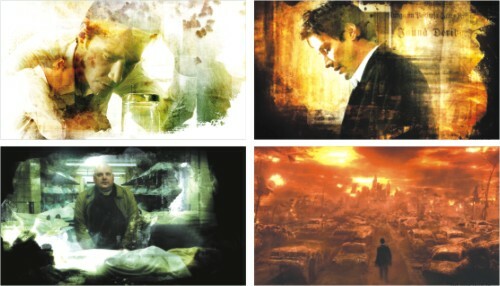 The special effects and visuals are out of this world in more ways than one but they don't save "Constantine" any more than the actors do. In fact, the best comics-derived action movies of recent years have tended to be those that played their stories and characters for humor or light self-mockery like "Spider-Man" and "X-Men." 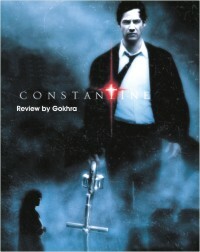 "Constantine" is another big-budget comic book adaptation/extravaganza, and, despite its A-level cast and special effects, it's a pretty dreary, grim affair. Good pop corn movie but that's about it. There's far too much of the traditional breed of romance in the media these days. From the intensely good (which is extremely rare these days, more's the pity) to the run-of-the-mill sap which innocent mortals unfortunately have to gobble down in large amounts every day without failure, there's… just too much… of the classic formula. Well, then, here's a novel twist on the picture: girl-likes-guy, guy-is-single-and-looking, and… pow! girl-turns-into-guy's-(literal)-right-hand. Now, you don't see THAT every day. Which is Midori no Hibi's strongest side; the sheer wack originality of the concept, and the interesting ways in which they go about exploring the possibilities that come along. The anatomic attachment could, in theory, be used for maximum perverse effect (and probably still sell) but instead, the creators opted to make the series very sweet indeed. Which is brilliant, because it's balanced with truckloads of good humour. There's nothing quite like having your lead characters physically joined together to cook up hilarious moments by the handful, and it makes for great character development too; the brawling, rather disagreeable Seiji Sawamura turns rapidly into a protective fellow, and Midori herself grows with the show in ways that are very satisfying despite being mildly predictable. 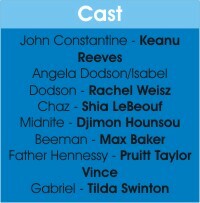 And, for an added bonus, the supporting-cast shines throughout too. The essentials, other than plot and characters (read above) are all adequate; the animation is nice and fluid, as you'd expect from a recent series, and the colours are appropriately bright. Character designs are cheery and work well with the plot a particularly good example is hand-sized Midori trying to tackle a full-sized ice-cream cone and the music works to the show's benefit, too. Now, to bite back: the series is short. Which is both a good and a bad thing, because while it doesn't get to the point where it might start to feel stretched out, it concludes rather rapidly (albeit with the appropriate happy overtones and melodrama). And while the ending does tie up most loose ends, you can't help but feel that there could've been more. But then again, not running out of steam was never a bad thing. 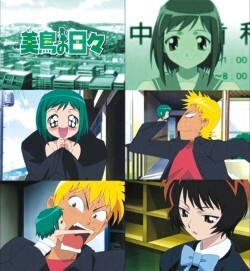 Midori no Hibi has enough romance to not drown you in mush, and enough comedy to keep you ticking without going absolutely ballistic. The two, together, make it an utterlyenjoyable waste of your time. Which, once again, isn't a bad thing, so I'd definitely recommend it, and particularly with the right company. The links are available at [niloywrites.blogspot.com] for your convenience. And the photo with the Sites Unseen is taken by me. An often mind-boggling collection of digital images created with The Persistence of Vision Raytracer program. Images which have never felt the sting of actual film or light occasionally seem like real life traditional photographs… that is when the artists can be bothered to depict real life; the fantasy images are a whole story unto themselves. Photographs of Edward Burtynsky showcases breathtakingly beautiful landscapes of quarries or fire-orange rivers stained with nickel tailings. He calls his eerie, painterly images "reflecting pools of our times," and much of his work explores how industry transforms nature. The 16 collections featured in the site demonstrate Burtynsky's fascination with cut rock, recycling yards, and the oil and shipping industries. His "Three Gorges" collection presents desolate images from China, where 11 cities were recently destroyed in a six-month period to make way for a massive dam and reservoir. In Burtynsky's photos, beauty could very well be the mother of death. Solipsistic.org: a fantastic multimedia art site which, to steal a popular phrase, is "so Goth it sh*ts bats." The site seems not intentionally Goth however, not in the Hot Topic [hottopic.com] sense of "Goth", Solipsistic is more like Grant Wood's American Gothic painting, it comes by its dark tone featuring work with a squint-eyed look at the absurdity of human beings. Jason Dunn of Digital Media News and Views got some hands-on time with the Xbox 360 during a recent Windows Vista. He has some interesting X360 tidbits to share: In some countries the console will come with a smallish remote for DVD playback, navigation and power. The graphics for Ghost Recon 3 are "jaw dropping." The Xbox 360 sports a 20GB hard drive. Go check out the full article for all of Dunn's impressions and more details about Media Center connectivity with the next-gen console. Gamespot did something few dared to attempt: they reviewed little pieces of plastic. Someone cuts a piece of plastic into a square, says its a cellphone screen protector, and tries to get people to review it. I mean more power to you if you're going to sell a piece of plastic, but what are they going to say? It's clear? It's sticky? Anyway, here is a round-up of PSP screen protectors… a round-up of plastic sheets. Sharp is developing these cool LCDs monitors that has displays on both front and the back. Cool stuff. There are some impressive tiny cars on display in this site. The cars probably aren't real, but are pure eyecandy. I really feel sad about san sculptures. They take up so much effort to create and ends up looking so good, but doesn't last long. Anyway, check these out. Eyecandy. Collection of Google Maps pictures. People explore the earth with Google Maps and post interesting pictures in this site. Definitely worth visiting. "DQ Issue 3" is a (still ongoing) collection of extremely cool sketches done with ballpoint by a range of artists bound into a Flash approximation of a paper notebook. Flip through and be deeply impressed one sketch is more impressive than the next. So the cave troll was berserk, creating this devastating radius around itself, harboring impending doom to those foolish enough to enter the circle. But Legolas, being as agile and acrobatic as he is, climbs onto the back of the behemoth and releases a pair of shafts onto its cranium at point-blank range. WOW…now that doesn't happen often (kudos to Peter Jackson and LOTR). 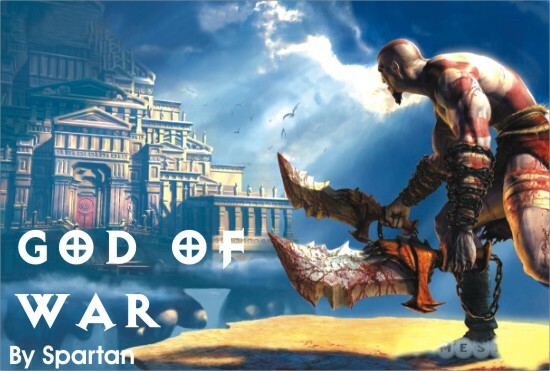 Well… in Sony's God of War, it does; the greatest PS2 game that you've never heard of. If Legolas is awesome, the protagonist of this game is god (hmmm…). God of War is based on Greek mythology, where you take possession of Kratos, a tough-as-nails sadistic Spartan (bearing an uncanny resemblance to Tyson Tomko from RAW) who would sooner mutilate a man than ask him what he did wrong. He is NOT your average handsome hero who seems too preoccupied with his hair rather than concentrating on the task at hand. Kratos is a one-man force to be reckoned with, a crossbreed between Todd MacFarlane's Spawn and Hercules, on a quest to murder the God of War, Ares, and trust me, as unfeasible as that may sound… this guy, can ACTUALLY get the job done. God of War is a game of massive proportions; the first scenario teases the gamers with what is to come with an unnerving skirmish with the notorious Hydra aboard a Grecian vessel in the Aegean Sea. The storyline of the game originates in ancient Athens, the city of goddess Athena, where her celestial brother Ares has waged war with aid from the formidable creatures from the void, which range from axe/war-hammer totting minotaurs to the gruesome three-headed cerberus dogs. Because of a mandate passed on by Zeus, which prevents gods from inflicting harm on each other, Athena resorts to Kratos, the mortal servant and trainee of the gods, for salvation of her city. Kratos' assignment leads him to Pandora's Temple chained atop the Titan Cronus, in search of the one weapon that may be used to murder a god. And on this epic adventure, you encounter the nastiest beasts from Greek mythology, and using the Blades of Chaos you carve your own legend among them, casting the remnants back to the depths of Hades! The Blades of Chaos are perhaps, the winning formula of the game; attached to retractable chains that have been embedded into the Spartan's forearms, the blades can be used either for close combat or ranged attacks, providing you with the best of both Spiderman (swinging enemies around with his web) and Dante (hacking and slashing enemies with Agni and Rhudra). In addition to the usage of the blades, you can mix up your combos with a pinch of Poseidon's Rage or a dash of Medusa's gaze (devastating magic attacks granted to Kratos by the gods of Olympus). All these weapons and magic abilities can be upgraded which augments their powers, bringing Kratos that much closer to undefined strength, that much closer to his goal. Even if you're not satisfied by the features mentioned above, you can always perform the Spartan's unique and mesmerizing GRAPPLE technique (highlight of the game), which permits him to engage enemies in an awesome, never before seen context sensitive mini game, bringing about their imminent demise in a stylish manner presented in multiple camera angles. For instance, during an intense fight against a cyclops (a creature with one eye, identical in structure to the cave troll in LOTR), an icon representing the O button appears above the behemoth's head after inflicting a certain amount of damage upon it. Once the inaugural button has been pressed, you engage the monster in a mini game where you have to successfully press the buttons that appear on screen, which causes Kratos to mount the creature's shoulders and plunge his blade into its eye with a rewarding and rather sickening THUD! All these eye-opening concepts are presented to you in a classy film noir style (with zero interruptions in the fluid animation), impregnating the fast, acrobatic maneuvers of Kratos with sporadic slowmotions (repeat: slowmotions, NOT slowdowns) that juxtapose the Matrix with shame. Even with the inclusion of such awe inspiring features, God of War pushes the envelope further with intricate and immaculate puzzles that require lateral thinking. But, you can take a sigh of relief, as the puzzles confidently maintain the FUN-TO-FRUSTRATING ratio associated with such brainteasers, making your chances of hurling your controller across the room, one in a million. Of course, combat and puzzles aren't the only aspects of the game worth mentioning; the music in God of War is absolutely superb, providing apt punctuation of different situations (whether you're solving an complex puzzle or unleashing hell upon any resistance) that has caused both critics and fans alike to compare it to the authentic music score from LOTR. The visuals of God of War are simply beautiful. It's no Metal Gear Solid 3, but it definitely maintains a solid position in the hierarchy, provided that the game is based on a foundation similar to Jak 3, catering for wide areas at any one time with minimum loading periods (unlike MGS where each area is comparatively diminutive, loading one at a time). Speaking of which, the loading time in God of War is a joke, lasting no more than a couple of seconds that seem more like a frame-rate problem than anything else. So there you have it, God of War, a paradigm of action/adventure games that has congregated all the positive aspects of the genre and brought them under one package. However, one caveat: God of War contains explicit sexual themes (and that's through a shade of euphemism) that may not be suitable for younger, more impressionable gamers. Therefore, buyers beware! But no matter, even if you're not old enough to play the game now, list it as your top priority as soon as you reach 18, so that you don't pass up on this phenomenal experience worthy of the gods!